The Zionsville Town Council met Feb. 4. The next town council meeting is scheduled for 7:30 a.m. Feb. 19 at Zionsville Town Hall, 1100 W Oak St. For more, visit Zionsville-in.gov. What happened: The council unanimously approved a confirmatory resolution for an economic development revitalization and approved the applications real property tax abatement from the Becknell project. What it means: Rezoning for the Becknell project was approved late last year. The project includes three to four new industrial buildings, totaling approximately 1 million square feet on Ind. 267. It will create up to $55 million of new investment. “This provides a fantastic opportunity to add to our tax base in an area that requires very few or limited municipal services from the Town of Zionsville, so it’s kind of a win-win for our community,” said Matt Price, a partner at Bingham Greenebaum Doll who presented on the project. By approving the tax abatements to bring the Becknell project to the area, during the next 10 years the development will pay more than $3.9 million in new taxes. Without the project, during the same 10 years, the area would only collect $52,000 in taxes without the abatement. Council member Kevin Spees asked if the tax abatement was required for the Becknell project to occur, which Price confirmed it was. The project is expected to break ground this spring. What happened: The council unanimously approved a confirmatory resolution for an economic development revitalization and approved applications for a real property tax abatement from the VanTrust project. What it means: Price also presented on the VanTrust project, which totals approximately 900,000 square feet of new industrial development, also on Ind. 267. The VanTrust project also went through the rezoning process late last year. The project includes two new industrial buildings creating $40 million of new investment. During the next 10 years, the project will pay $2.8 million in new taxes. Without the abatement and without the project, the area would only generate $21,000 during 10 years in new taxes. What happened: Wastewater Treatment Plant Supt. Barry Cook presented on three new sewage works projects. What it means: The council heard a presentation from Cook on three proposed sewage projects proposed in Zionsville. To occur, the projects require the issuance of several revenue bonds, but Cook assured the council the bonds would not result in an increase in current rates. One of the projects includes installing a sanitary sewer along Oak Street. The council will take action on the sewer bonds at its Feb. 19 meeting. 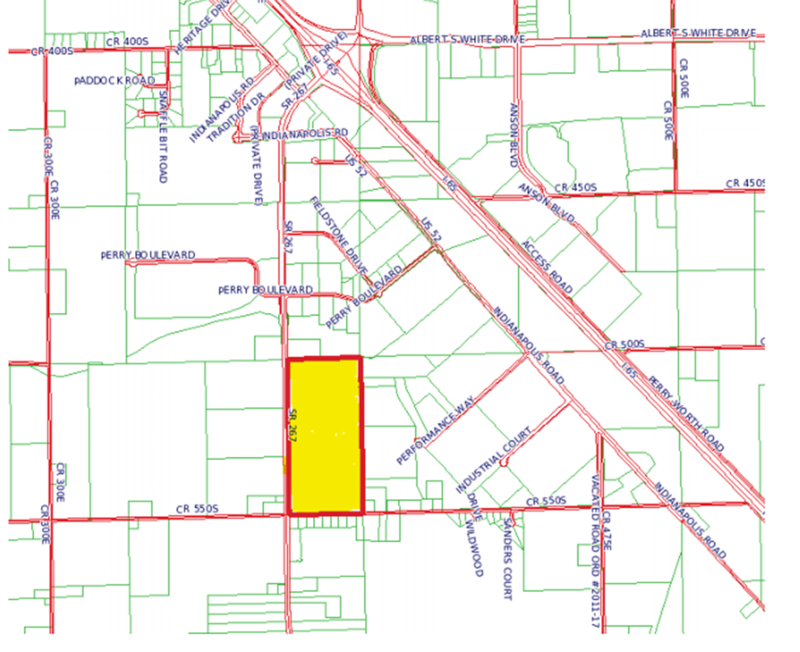 What happened: The council heard an ordinance to vacate portions of a public right-of-way within Zionsville. What it means: Zionsville resident Brian Bobbitt requested the council allow an alley behind his home to become a part of his property. Bobbitt said when he and his wife moved into the house, they were unaware the alley existed. The council didn’t object and will vote on the ordinance at its Feb. 19 meeting.